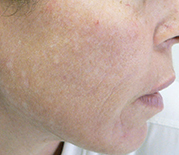 Unlike traditional treatments such as microdermabrasion and chemical peels, the unique characteristics of laser skin resurfacing allow more accurate and precise control over the treatment process. 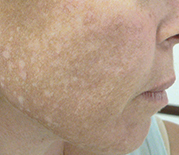 Treatments can be performed either in ablative modes with an Er:YAG laser or non-ablatively with a Nd:YAG laser, depending on the particular aesthetic outcome that the patient and practitioner wish to achieve. 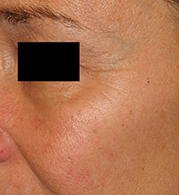 At AASC, we take fractional laser to a superior level with the Fotona Laser or Palomar Starlux Fractional Laser system. Thess state-of-the-art systems, use precise ‘microbeam’ technology to penetrate into the deepest layers of your skin for the most effective, safe and long-term results. Unlike ablative lasers such as Fraxel, the Palomar StarLux & Fotona Non-ablative Fractional Lasers do not damage your surface skin cells. Cheek Area. Results may vary from patient to patient. Eye Area. Results may vary from patient to patient. Lip & Mouth Area. Results may vary from patient to patient. When you visit our skin care clinic in Melbourne, our highly experience Dermal Therapists will assess your skin and determine whether Fractional Laser Resurafcing is best for you. 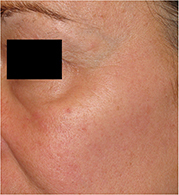 Palomar StarLux & Fotona Fractional Laser restores overall skin health while also improving your specific skin concerns.